5’ll Getcha Ten, the second recording made by the group for Capricorn Records, is one of those unique albums obscured by the dusty winds of rock history, only to be unearthed years later in hindsight and to be celebrated and reintroduced to a new era of fans.Recently, Real Gone Music has thankfully revisited this seminal country rock LP to disseminate its values to a new audience with an upgraded CD release. 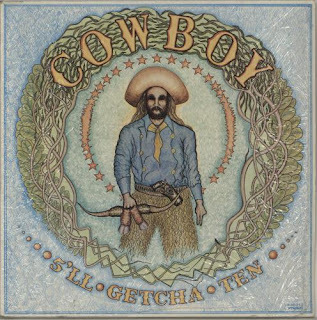 Revitalized, remastered and reintroduced, 5’ll Getcha Ten can now claim its rightful place as a standard of country-rock and a pillar of early 1970s songwriting, collecting a plethora of amazing tracks. 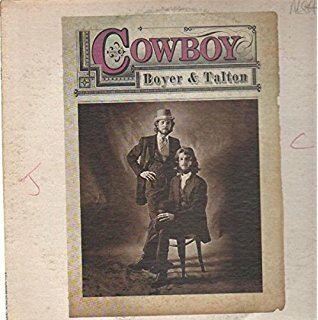 While the appearances of legendary pianist and Allman Brothers Band alumni Check Leavell and band founder Duane Allaman increase the interest in Cowboy’s legacy, the true magic to be found is in the songwriting abilities of founding members Tommy Talton and Scott Boyer. 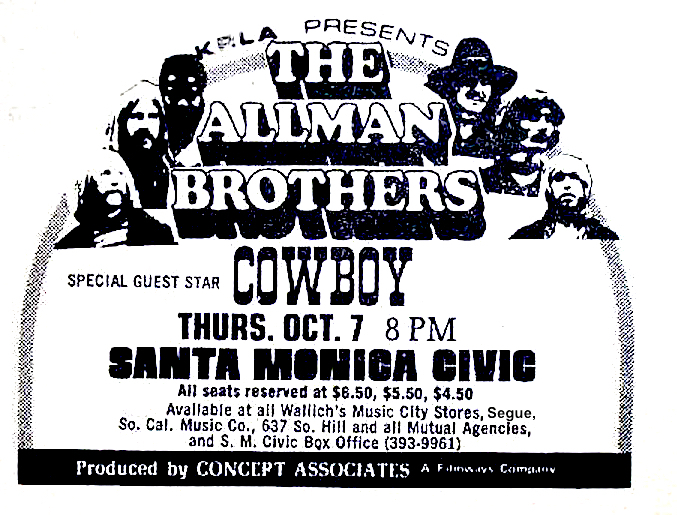 There is a craftsmanship on display that illustrates just what attracted Allman to the songwriting duo. The hallmarks of the record are to be found in the relationships between sweet acoustic picking, spring water pedal steel, tightly woven harmonies and Leavell’s tasteful saloon piano which appears on over half of the albums tracks. Cowboy, similarly to the group Badfinger and their relationship to the Beatles, will always be inextricably tied to the Allman Brothers Band. Fortunately, this musical relationship has caused the band’s music to endure the passing of time and to always have a listening audience. The six-piece band opens the LP whimsically with Talton’s gently swaying maternal opus, “She Carries a Child,” and the foundation for the record is mortared. Innocent waves of pedal steel and stitched acoustic harmonies are the standouts, as the poignant track introduces the album in the same way and to the same effect as “Tears of Rage” opened the Band’s 1968 debut, Music From Big Pink. “Hey There Babe” brings the barn dancers out of their seats sounding quite like the groups contemporaries, the aforementioned Poco. Deep brisk mountain water runs through the embracing acoustic guitars, with sweet songwriting the order of the day. The slightly foreboding and descending introduction of the title track, “5’ll Getcha Ten” exhibits in a gently undulating groove that spins the melodic weathervane slowly into country dusk. The song is comprised of conjoined movements organically moving into one another, the pedal steel weeps in rich hearty drops over top. The band sings beautifully and harmonizes the ‘5’ll Getcha Ten’ mantra as the song drops over the horizon. ‘The Wonder’ follows and is the only song on the LP not composed by the group. The track is a pacifist anthem, delicately performed by the band and highlighted by guitarist Pete Kowalke’s vibrato lines. The second side of the album opens with the aptly titled ‘Seven Four Tune,’ which subscribes to that description appropriately. The song stumbles through swinging doors and opens the second half with a boozy waltz to get toes a tapping and glasses clinking. Scott Boyer’s ‘Right on Friend’ keeps the mood light and moving with a tight hand in glove groove. This song quite possibly contains the most detectable Alllman’s influence to these ears, especially occurring during the guitar breaks. The track elicits a celebratory vibe and the groove of a simmering soul review. Moving from one friend to multiple pals, ‘All My Friends’ follows, and is a heavy ballad making up the second song in a pair of Boyer penned tracks. The lacy arrangement features a stunning fiddle break followed by a Leavell recitation that ups the musical ante. ‘Innocence Song’ fades in covered in a gently finger picked crystalline veil. A clean sheet on the line, a breeze blows through the percussionless arrangement. The song does not reach two minutes, gone as quickly as it appeared but leaves a pure impression. The most popular song on the record with fans and contemporaries follows in the next to closing spot. 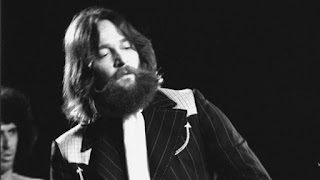 Scott Boyer’s ‘Please Be With Me’ was not only chosen by Eric Clapton to cover on his 1974 album 461 Ocean Boulevard, the song also spotlights Duane Allman on profoundly stunning dobro guitar. One of rock music’s beautiful lost classics, the song begs for companionship in a simple and unadorned arrangement. The definition of ‘deep cut’ both versions of the song deserve your undivided attention. The original though, featured here, is indeed most poignant. 5’ll Getcha Ten could have closed with ‘Please Be with Me,’ but the band follows perfectly with ‘What I Want Is You’, a song that would not sound out of place on a Crosby Stills and Nash album. It’s fitting that the recording ends as it began, with an intimate acoustic sway colored by spiritual and detailed glimpses of life illustrated through pastoral compositional ideals. 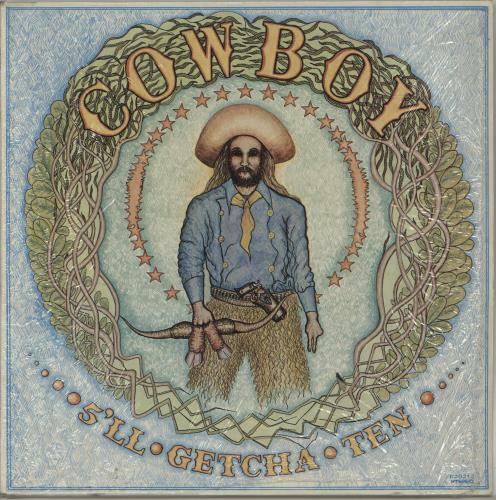 Cowboy’s 5’ll Getcha Ten is a record your fingers deserve to fall on while flipping through your collection or the crates in for favorite shop. The record still sounds as relevant as the day of its creation. Fantastic songwriting and honest musicianship can never be passé as this fine collection of music by the band Cowboy illustrates.